Madonna with Child - Salvi Italian tapestry is based on the work by Giovanni Battista Salvi from 1650. Also known as Il Sassoferrato, this piece shows the Mother Mary holding the Christ child in subdued tones highlighted by the crimson of the Virgin's dress and illuminated by the halo behind her head. 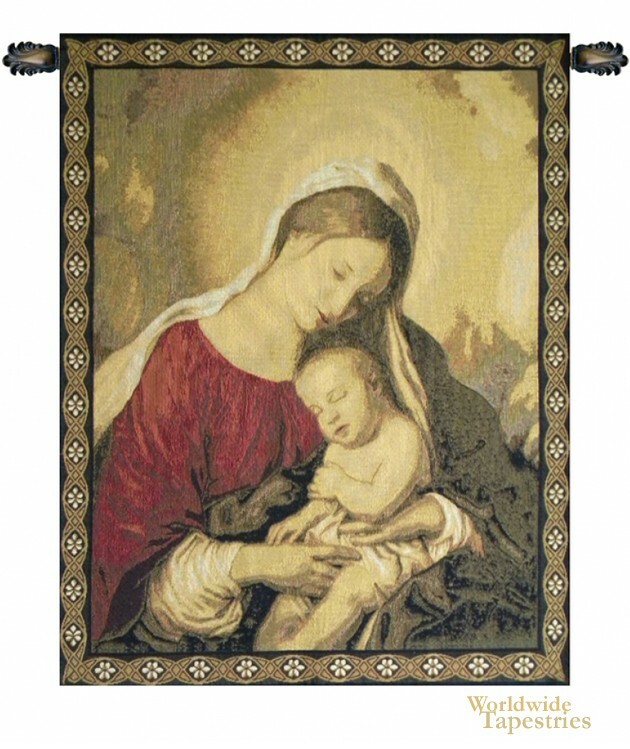 Madonna with Child tapestry is backed with a lining and a tunnel for easy hanging. Note: tapestry rods and tassels, where pictured, are not included in the price. Dimensions: W 28" x H 35"